In recent years, a number of high-profile evangelical church leaders have fallen from their pedestals — and the landing has been anything but soft. Often, the story goes like this: A "celebrity pastor" with a wide sphere of influence falls prey to sin, leaving in his wake a trail of chaos and disillusionment. From sexual impropriety to alcoholism, these moral failures are met with shock and disbelief from many in the Christian community. What exactly went wrong? Jimmy Evans, senior pastor of Gateway Church, a multi-campus church in the Dallas/Fort Worth Metroplex, told The Christian Post that the problem often begins when pastors isolate themselves — from others, from accountability, and ultimately, from the truth. "We're all human beings, and I believe pastors who fall put themselves in a position of secrecy," he explained. "I've never met a pastor that didn't have the same basic temptations as the other guy. The difference is how we deal with it." Isolation, Evans contended, is one of Satan's greatest weapons. "The devil works in the darkness," he said. "As pastors, we need to not put ourselves in a position of living a private life away from the eyes of others. That's why pastors fall, and it can happen to any pastor. It's the way we carry ourselves, the way we relate to people around us, whether we're honest or dishonest." Scott Sauls, senior pastor of Christ Presbyterian Church in Nashville, Tennessee, and author of From Weakness to Strength: 8 Vulnerabilities That Can Bring Out the Best in Your Leadership, told CP that pastors become more susceptible to isolation as their ministry grows. "The bigger your church becomes, you begin to have more fans and admirers than you do actual friends," he said. "It's really important to be surrounded by people who are close enough to you, that they can express concern with you and your character and help steer you toward toward Christ. Pastors need to welcome this kind of friendship, community, and accountability." Thanks in part to the rise of social media, the "celebrity pastor" phenomen is relatively new. And while the Gospel is able to reach formerly uncharted territory, so, unfortunately, are scandals within the body of Christ. What once remained within the four walls of the church are now able to creep into a watching, scornful world. Ronnie Floyd, senior pastor of Cross Church of Northwest Arkansas, explained that humans are made to worship. 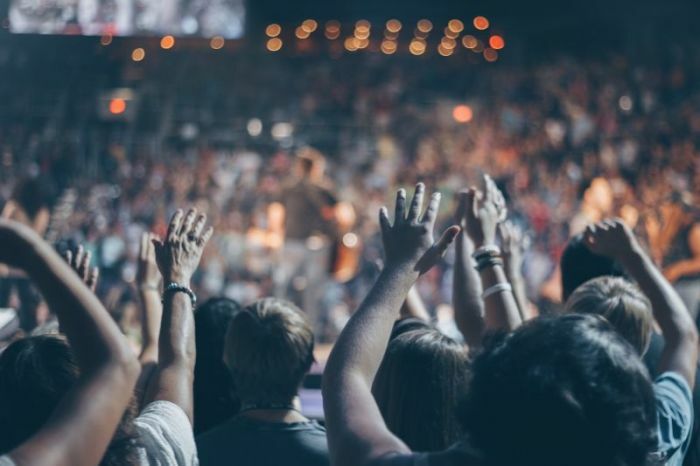 It's no surprise then, that in a celebrity-obsessed culture, worship is often directed toward an influential pastor or charismatic church leader. But when congregants put their pastors on pedestals, he warned, the results are disastrous. "There is always the danger to idolize a pastor," he said. "But they are men. And that's what the country and church is being reminded of — pastors are just men. We live a very fast life today, and when we're not careful, we become careless in the way we live. We can't let our guard down. That's why God says, 'Guard your heart.'" Sauls clarified that the problem doesn't necessarily lie with the "celebrity" aspect. There are, he said, healthy "celebrity pastors," adding, "That's why we have the Francis Chans and Tim Kellers and others of the world." But sometimes, people who attend well-known churches aren't committed to Christ or His Church; rather, their allegiance lies with the engaging, influential pastor. Unfortunately, he said, these leaders may have extraordinary gifts — but questionable character. "And that's why we see a lack of humility and sometimes even a moral collapse, even among well-known pastors," Sauls explained. "Staying anchored in the truth and the simple ordinary aspects of daily faithfulness, I think, is much more important than chasing spectacular sermons and spectacular worship events." "It's much better," he added, "to be shepherded, led, and pastored by a person with average gifts but a beautiful character than it is by someone with incredible gifts but average or below average character." Another problem with the "celebrity pastor" culture, Sauls pointed out, is that in chasing the "wow factor" of church leaders from states away, Christians are no longer satisfied with their local church pastors or preaching. "While they may be gifted, they'll never meet them, have a relationship with them, or be shepherded by them," he said. Instead of focusing on the external elements of ministry — impressive light shows, well-executed messages and respected worship bands — Sauls encouraged believers to become involved in their local church. True believers, he said, will be deeply satisfied with the simplest expressions of the Gospel. "When Jesus entered the world, He didn't come flashy," he said. "He came very simple, almost invisible, a poor man, a refugee. The Gospels themselves say that it's the little children and the poor who are the heirs of the Kingdom of Heaven. It says that God chooses the foolish things of the world or the weak things of the world to move the Kingdom forward as well." Floyd emphasized that pastors, just like everyone else, are not exempt from spiritual warfare, and Satan loves to attack those who lead God's church. He encouraged believers to "gather together and pray for your pastor, that there will be a shield of protection around him, and that he will be able to discern when something isn't right and flee from it like Joseph (in Genesis) did." In turn, he advised pastors to resist the temptations today's consumer culture offers and instead set boundaries that honor God and protect people, create a culture of accountability, and focus on presenting the Gospel with discernment and wisdom. "Ultimately, a pastor must maintain his personal walk with God, that must be the priority of his life," he said. "The Lord must always be his first love ultimately, and when his heart is in tune with God, a moral purity will follow." Are Celebrity and Christianity a Bad Mix?